Mary Ann Hutchison: The author’s background as a legal secretary, administrative aide, courtroom clerk and Judicial Administrative Assistant has provided her with enough material for several books. After 40 years in the legal field on the administrative side of the Bar, she retired to write short stories, memoirs, middle-grade, and suspense stories. “Moochi’s Mariachis,” her latest novel, is now a part of the Tucson Unified School District’s Title I ESL Program. The Arizona Kidney Foundation receives a portion of the proceeds of this book. Her western suspense novella, “Cascabel,” describes the 1865 western frontier as the backdrop for murder and revenge. 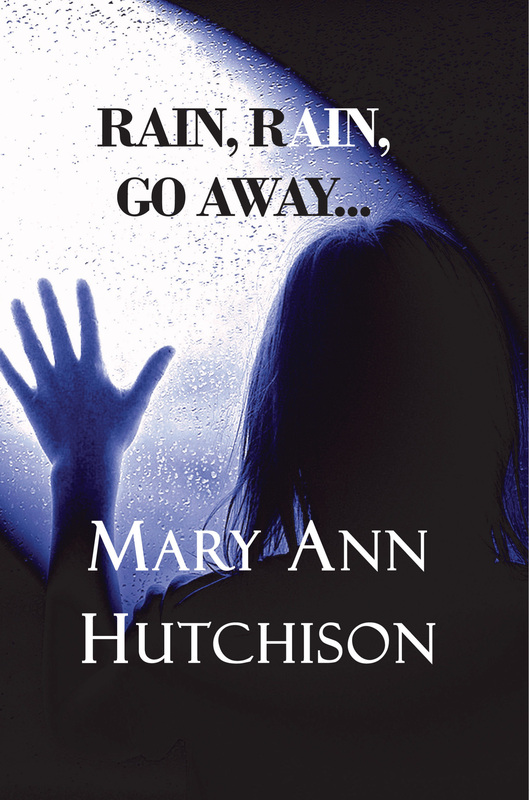 Rain, Rain, Go Away… ($15 – Click to Order, ISBN: 978-1-937536-07-7, Hardcover ISBN: 978-1-68114-179-4, LCCN: 2011939263, 132pp): To those who labor in the judiciary and law enforcement, two things are well known: time is of the essence; there’s one thing in the knowing, another in the proving. It’s implicit that no matter their vocation, what they do after hours must be something that will shatter the images of what they consistently see and hear.